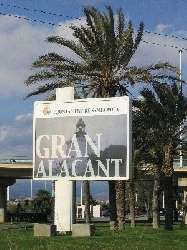 Welcome to beautiful Gran Alacant on Spains Costa Blanca! Situated in an idyllic and peaceful location, yet only an 10-minute car journey from Alicante airport, Gran Alacant is ideally placed for a relaxing get away from it all holiday. Less than 10 minutes away is the picturesque little fishing village of Santa Pola and for the sun worshippers Carabassi beach is a pleasant stroll away where you can get an all-over tan. The property is located in the area of Gran Alacant and includes all the necessary items that you would need for a self-catering holiday. Ideally situated for a relaxing family beach holiday or golf and water sport holidays for the more active. The Apartment is in the popular but quiet urbanisation of Altomar II which is situated at the top of Gran Alacant, nestled into the cliff side and 5 minutes from the local beach. It has 3 communal pools, 2 larger at either end of the urbanisation and a smaller pool in the centre. The property is nearest to the larger pool. Life guards are on patrol at each pool during peak times. The urbanisation also has a number of small friendly bars and restaurants situated close by. 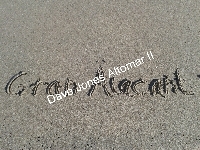 A pleasant walk or 5 min car journey from Altomar II are the golden sandy beaches of Arenales del Sol. The beaches are wide and bordered by dunes. 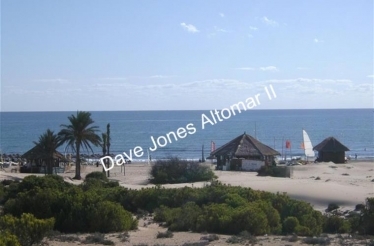 These beautiful blue flag beaches run the length of the coast from Alicante to Santa Pola and beyond. Alternatively there is a regular bus service between Gran Alacant and Santa Pola which passed by the beaches. There is also a regular bus service into the beautiful vibrant and cosmopolitan city of Alicante which is only a short ride away, from where you can catch a tram or train to anywhere on the Costa Blanca. Gran Alacant now also has the new GA Spirit road train which runs on a hourly, circular route around the whole of Gran Alacant and of course the beach, ideal for getting around without the use of a car. 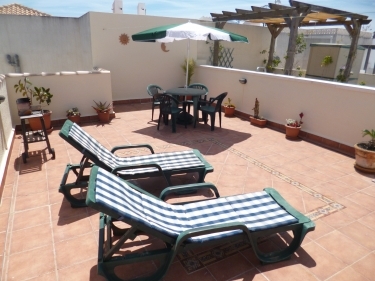 The advantage of the 1st floor apartment is the large roof solarium that attracts the sun all day long, Ideal for sunbathing and relaxing in private, it also has some beautiful views to the mountains, across Alicante bay and the Mediterranean Sea. The solarium is finished with table, chairs, parasol lounges and of course a BBQ.. The Lounge has all the comforts of home complete with Air-Conditioning, Ceiling Fan, Digital TV with a selection of Europen channels including UK, French, German, Italian and of course Spanish, with a language button option, DVD, and stereo CD system, coffee table 3 seat couch and chair. The air conditioned dining area with extendable table and 4 chairs looks out onto the balcony and evening sunset. 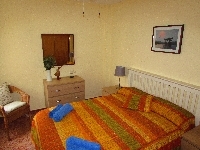 All linen and towels are provided with the apartment. Cots, high chairs can be provided on request for a small additional fee paid locally. A stones throw from a number of friendly family bars and restaurants. Less than a minute walk from the apartment is the Gran Alacant Tourist Office, Health Centre and International Library offering free internet access. Outside the Health centre is a Bus stop and also a stop for the GA Spirit road train providing transport and access to the whole of Gran Alacant. Local buses travelling to Santa Pola and Alicante via some lovely blue flag beaches. Why not keep the apartment for the full day of your departure ? For a small fee there is no need to vacate by 10am, stay at the apartment until your flight time. (Dependant on Availability) Please ask for details during booking. A Meet & Greet service is available if requested, Our local representative will meet you at the vehicle access gate or property, open up and Show you around and offer local information appertaining to the area. This service, if requested is provided separately by our local representative for a fee of 20 Euro paid locally. No Groups of under 25s , No Pets , No Smoking.